I had a thoughtful post scheduled for today. Then I learned of the deaths of Robin Williams, Lauren Bacall, and Arlene Martel, who played T'Pring in the "Amok time" episode of Star Trek: TOS. And now I'm just sad and can't do thoughtful or intellectual or relevant. 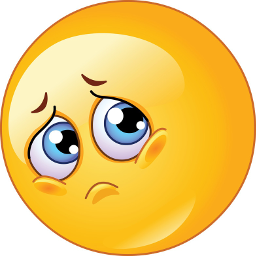 So, although I want to post something new and original tonight, I'm sort of wallowing in sadness. 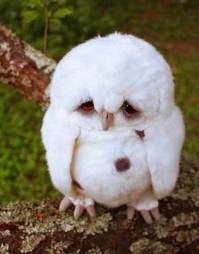 Sad owl is sad. And me, too. Tomorrow, yes. New and original. But tonight...RIP, people who have made my life more meaningful because of your art. Here's a post. Share my sorrow, or cheer me up. But this is what I can do tonight. Happy Rain God Day in Droughtistan. I can totally relate. August is a very up and down month for me every year. Today was a struggle for me. It is always really weird when famous people die. Because you feel like you know them, sort of, and you take their existence for granted, like the way you assume McDonalds will always be around. When they die, it is a reminder that ANYONE can die. I mean, I have lost family members before and I do know it can happen. But to me, when a famous person dies, it is a huge reminder of my own mortality. Does that even make sense?